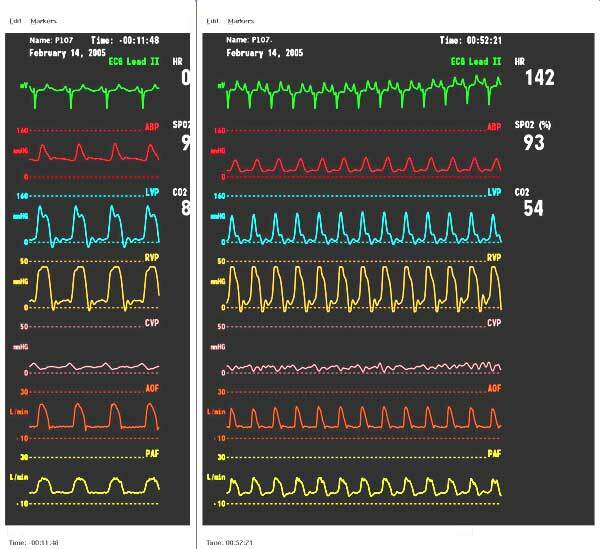 Side-by-side displays allowing comparison of physiological data at different simulation time points. Typically the left hand display shows pre-injury data, while the right hand display shows post-injury data. Multiple traces for a single data item allow comparison of experimental data to simulated data. The displays can operate in real-time, faster or slower than real-time, can be paused, rewound, or fast forwarded to specific times.